The walls in our guest bedroom need to be repaired and I don't know how to do it. There was this large poorly-patched abandoned wood stove plug on one of the walls and I couldn't resist pulling it out. It looked really bad. 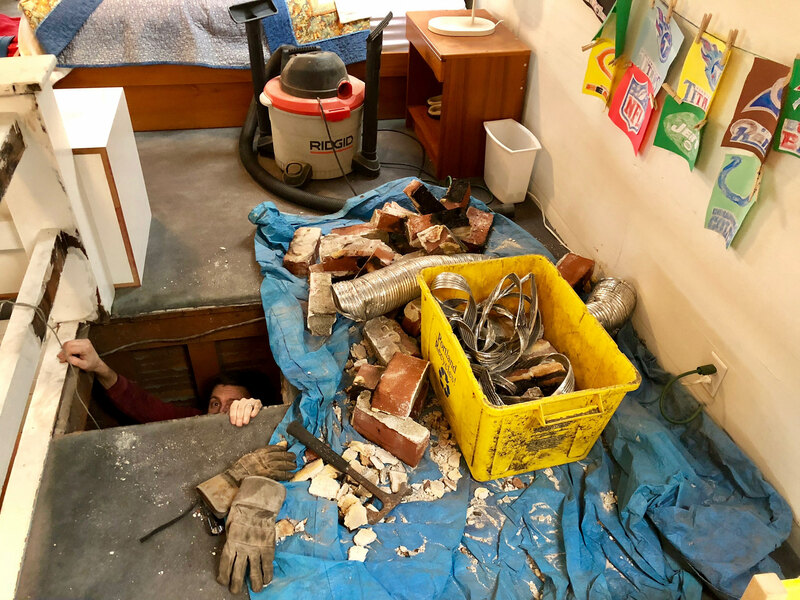 And since we removed the chimney, there is no possible chance we'll be needing this opening in the future. But now there's this big hole. The wood lathe below the plaster is charred and black and I don't know if I should try and remove it too. And I'm trying to figure out how to fill that hole. Should I use a piece of drywall? The walls also have a weird rubber-like coating; I don't know if it's just so many coats of paint that it feels thick, but it is somewhat flexible. It doesn't adhere very well to the plaster below it and there are also a lot of painted over cracks. If we're smart, we'll fix these walls in this room while we're restoring the woodwork. But, I don't know how to fix them. I don't know if I should try to scrape off all of this weird rubbery layer and then resurface all of the walls, or if I should just try to fix just the obvious problem areas. I'm currently having the mental debate about doing it right and doing it cheap. And what do I use to resurface the walls? I get conflicting info about using joint compound—some sources say it won't adhere well over the long term. I really don't want to learn how to do plaster. I'm barely motivated to work on this paint stripping. I feel your pain. 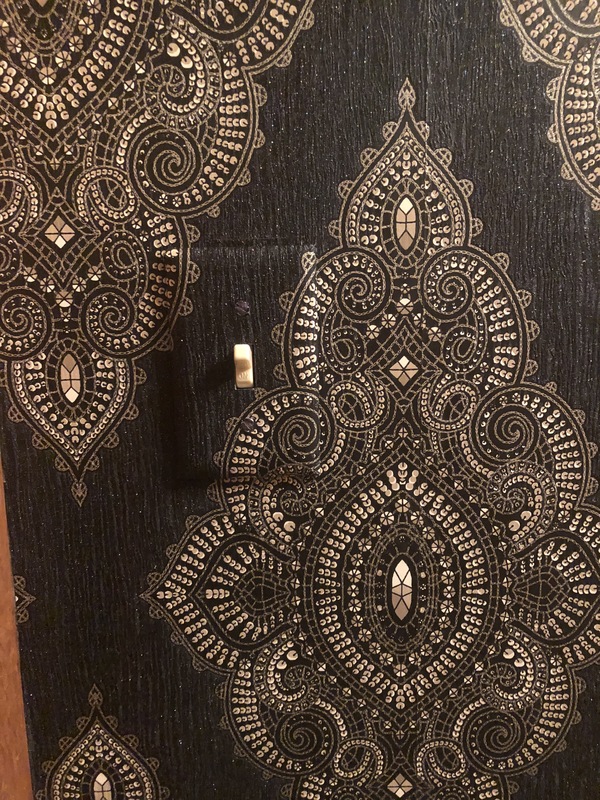 We have one room and the hallway in our house where thick layers of paint are peeling badly off the plaster and I have good sized holes from where sconces where installed. In one room, I scraped whatever loose paint off the wall and used American clay plaster to hide all the edges. 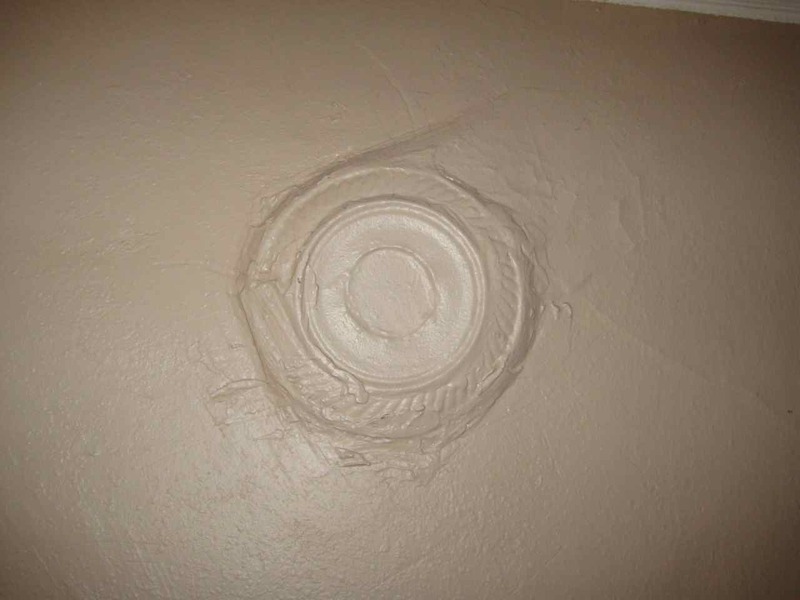 It is not a long-term fix because in some spots, the old paint is still lifting of the plaster underneath the clay plaster. But the clay plaster is beautiful for the time being. For our cracked and peeling ceilings we did a method that I will try on the walls in the hallway later on. 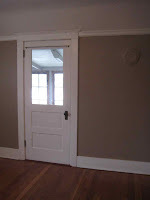 We removed any loose paint, secured the plaster where it was loose from the lath with plaster washers, then applied plaster weld, 3 feet wide fiber glass mesh, 2 coats of setting type joint compound and 1 layer of veneer plaster. Our ceilings are by no means perfect but they are holding up. They have endured sistering the joists above and raising the house back up to level with no cracks. If your walls are in fairly good shape and you don't need to use plaster washers, you can probably get away with one coat of setting type joint compound and the veneer plaster. 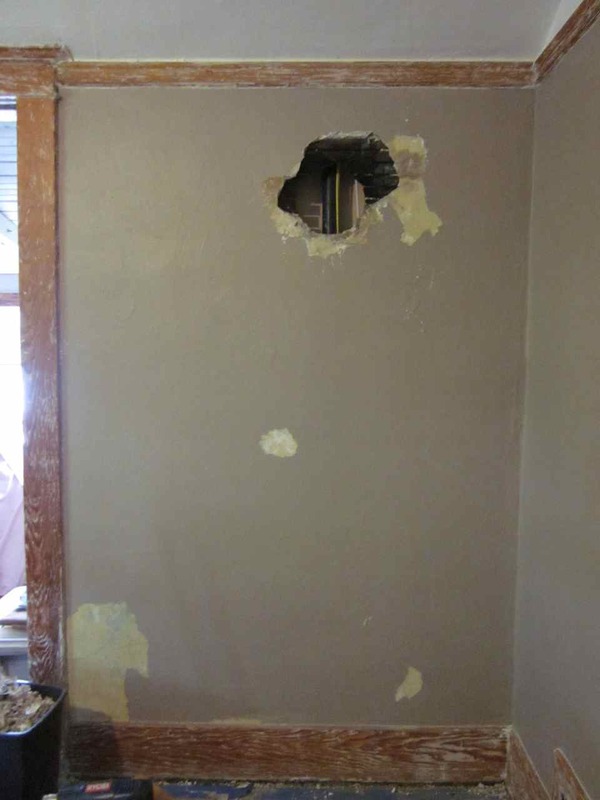 As for the big hole, I would cut out the plaster and lathe that is damaged and patch with a piece of drywall. 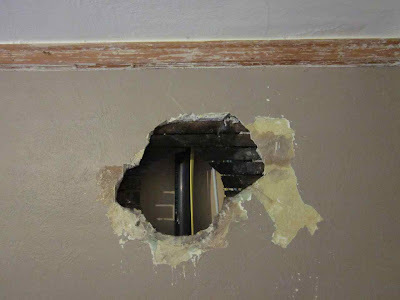 I did this to a hole in the wall where the air conditioner was installed and you can hardly tell. We have the same hole in two of our bedrooms - I covered them with a picture, haha. Our plaster guy was AWESOME. Fast, clean and his work looks good. I'd be happy to give you a referral. So far as I know, he was also affordably priced, but I didn't get a ton of quotes. After seeing him work, I can't believe people ever replace plaster with drywall, rather than repair.